The term “Cloud Computing” has been openly used for almost ten years now, but there are still some misconceptions around the concept itself and around some more specific words like “IaaS” (Infrastructure as a Service). Sometimes I have to face pointless discussions with people that have completely wrong ideas and expectations: this can be annoying from my point of view, but can be catastrophic for realities deciding to make “the big move” without having completely understood what the cloud is all about. If you have come across this post as you’re still trying to figure out what “Cloud Computing” and “IaaS” mean, then let me save your life and probably your job with some clarifications. The market offering isn’t helping us, as service providers are confused as well and they use to define “IaaS” completely unrelated products. The US NIST has released a document containing a list of 5 “Essential Characteristics” of cloud services, but they are not so specific and won’t help you make any choice. When words are being used in such a confused way, you have to decide which of the many interpretations is the “authoritative” one: my authorities for this article are Amazon Web Services (and not because I work for them, but because ten years ago they have been the first at offering an IaaS platform) and OpenStack (that is, AWS concepts and terms reviewed by the biggest open source community in the cloud computing world). 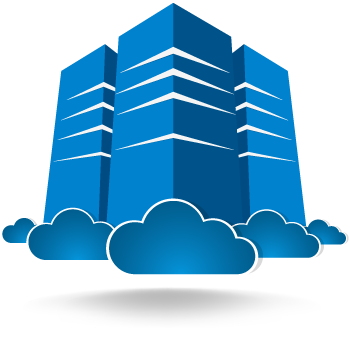 So, what you should expect or not expect from an IaaS offering? You should expect to be billed based on a Pay as you go model. Let’s be serious, if you have to pay an one time or monthly fee for your account and/or services you are using then this is not really cloud. Offering pay as you go services is a real technical challenge for the service provider, and if they aren’t giving you this option then you should have some doubts about them being up to date with the technology. Some providers will offer you discounts on long term commitments and this is fine, but always look for the PayG option, please. You should expect to have full access to API and CLI tools and not just to a GUI. This is critical also if you are not planning to use them from the beginning. Cloud is all about automation, and if you stick with a service that only offers a GUI, then you will be forever bound to your mouse (and hands): if you come from an on premise physical server environment you could not see my point right now, but in the cloud you will start using automation soon, at least in its basic form. Because it’s easy and useful. You should not expect your instances (virtual machines) to be always available. This is something I’ve already blogged about a few years ago (in italian, I’m sorry) but it’s still one of the biggest, most spread and more dangerous misconceptions. Cloud services are based on commodity hardware, and thus the instances on top of that should be considered in the same way, as a commodity. The single instance could be there or couldn’t be, and your customers don’t have to notice: you have to plan for high availability at application level, taking into account the various kinds of failure. Some additional services like Block Storage, Object Storage and Load Balancing as a Service will help you achieving the high levels of availability you need. If your service provider is offering you an extreme level of HA, then you’re probably paying for something you don’t need (if you’re using 5 web nodes, then what’s the matter if one of them goes down for a while?). You should expect instant provisioning: seriously, provisioning has to happen in seconds. Be careful not to underestimate this: you could be happy with a 24 hours delivery time for your first bunch of servers, but believe me you won’t be when you will need to rapidly scale because of a traffic peak. Maybe I’m being too picky here but I expect the provisioning of my account to happen in real time as well: I’m not happy with providers asking me to send a physical signed contract or my IDs before using their service. You should expect the service you choose not to have limits that could (and will) impact you. Okay, not all of us need the scale of AWS, but make sure your provider won’t go out of capacity when you will need it: planning for infrastructure is their job, and from your point of view you must always be able to use the resources you need, when you need them, with no previous commitment. You should (probably) expect to have access to multiple autonomous regions: being it for active-active HA or just for backup and disaster recovery purposes, doesn’t make so much sense to choose a provider that is hosting its entire platform in a single datacenter. Yes, you could choose to use 2 different services providers hosting services in different locations, but this is not going to be easy to deal with. You should (probably) expect not to be locked in by small-scale service providers: always look for open standards, expecially if the company you’re buying resources from is still at a scale where going out of business from one day to another is a (remote) possibility. You should not expect to be able to easily scale vertically (increase instance size, or a single resource inside the instance): cloud computing is based on horizontal scalability (that means adding building blocks, not making the existing ones bigger), and this is why service provider don’t focus so much on hot resize of instances or on the ability to add RAM if you need RAM without modifying anything else. This is related to availability as well: if you can’t afford a planned downtime on a single instance in your infrastructure, then you’re doing something wrong. That’s it, at least for now. I’m sure moving to the cloud is the right choice almost for every company in the world, but please make sure you fully understand it before making any choice. Really.